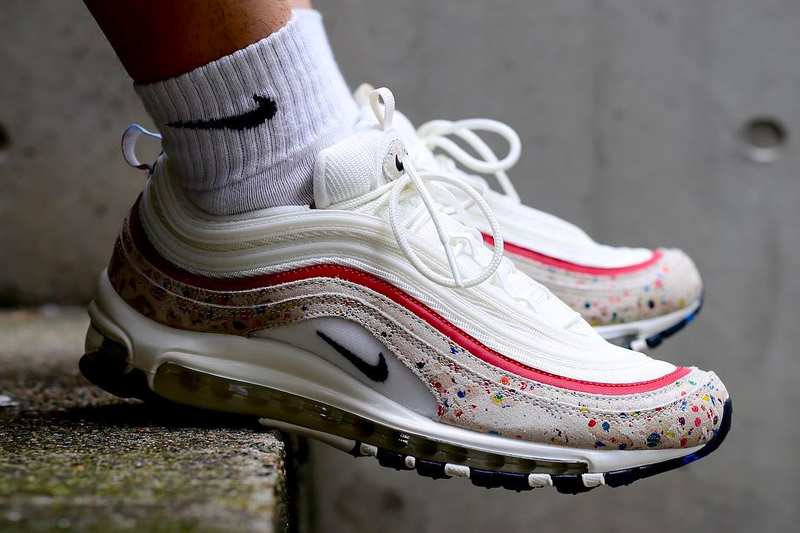 Nike‘s Air Max 97 continues to roll out new looks for the summer, most recently, bearing an eye-catching paint splatter pattern in a multi-color scheme. This Premium version of the iconic silhouette boasts a suede, mesh and textile upper. Splattered-paint appears on off-white suede panels, which are accented by a single bright red stripe and topped off by milky white mesh and textile at the lacing system and tongue tab. A classic full-length Max Air unit anchors the signature look, while a white, blue and red “Air Max” pull tab adds an extra dose of retro style. This Nike Air Max 97 Premium “Paint Splatter” colorway will be releasing soon at atmos Tokyo for a retail price of ¥18,000 JPY (approximately $152 USD). For more upcoming drops, adidas Originals is rereleasing the Futurepacer “Grey One” this week.